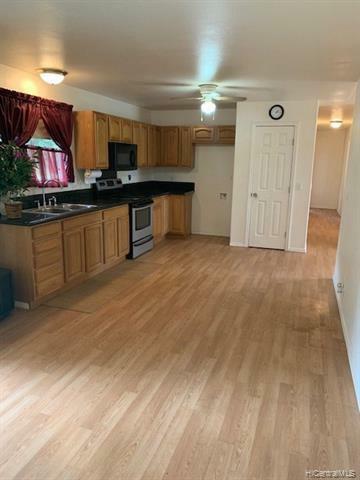 This 3 bedroom 2 bath home was contractor built in 2009. 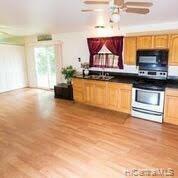 The third bedroom was permitted as a formal dining room so the county descriptions says it is a 2 bedroom 2 bath home. County Water. Entrance from highway is enhanced with rock wall border and a gate. Added charm of a french door interior entry into living room. Large kitchen with additional cozy living space. 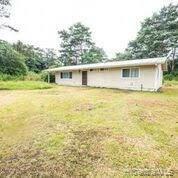 Locted on 1.29 acres with home set to the back for privacy. 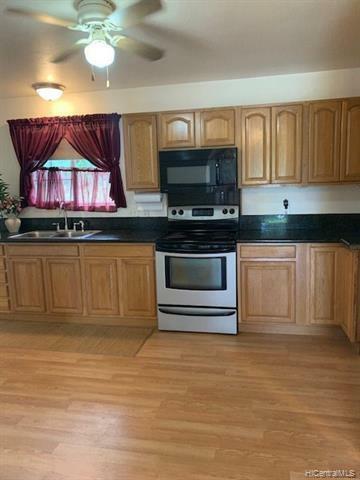 Large open area to front of property. Listings provided courtesy of Equity Hawaii Real Estate, Llc.